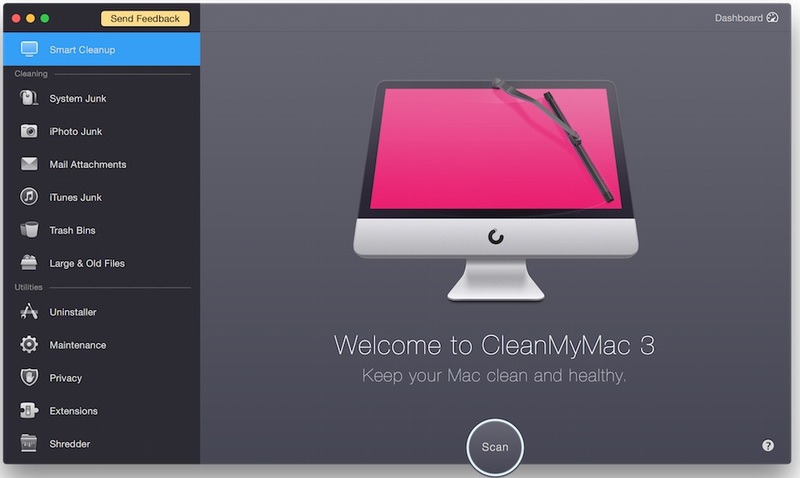 CleanMyMac 3.7.2 – Delete files that waste your disk space. CleanMyMac makes space for the things you love. Sporting a range of ingenious new features, CleanMyMac lets you safely and intelligently scan and clean your entire system, delete large, unused files, reduce the size of your iPhoto library, uninstall unneeded apps or fix the ones that started to work improperly, manage all your extensions from one place and do much more – all from one newly designed and beautifully simple interface. All known crashes and exceptions fixed. Added a number of usability and layout improvements. Next story Try to translate 3.36 – Quickly translate. Previous story Framer 82 – Prototyping tool for testing interactivity. Display Maestro 2.1.2 – Optimize resolution and bit depth for attached displays. BlueHarvest 6.2.2 – Disable DS_Store creation and more. DetectX 2.84 – Detect hidden files belonging to MacKeeper, keyloggers, and others.